Basic purpose of this lecture is to present on Paper Airplane Experiments. The paper airplane experiment, as well as being great fun, is a chance for us to study something called ‘The Laws of Aerodynamics’. 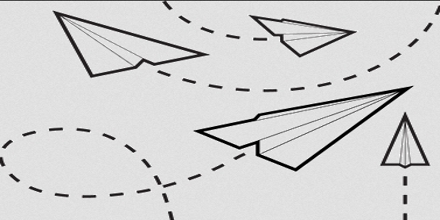 Here briefly describe on types of experiments: Ball vs. airplane; Wind tunnel and Glide tests. Principle demonstrated: Conservation of mass, pressure. Procedure: Construct wing tunnel, Use incense to show air flow into, through, and out of tunnel.